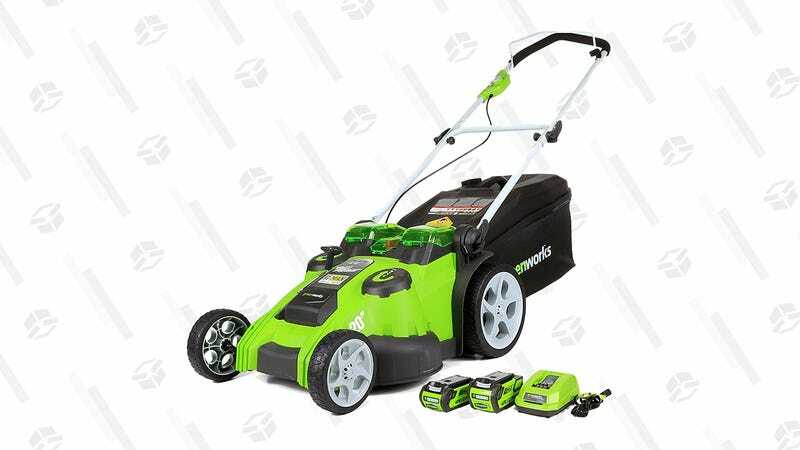 Lawns nationwide aren’t necessarily thriving at the moment, what with temperatures dropping by the second, but the deal on this electric, 20-inch Greenworks 40V Lawn Mover is still worth scooping up right now. 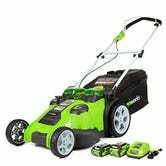 The price on this cordless mower has been mowed down to an all-time low of $226; that includes two extra batteries. What’s particularly impressive here is that this mower’s smart cut technology automatically adjusts power and runtime based on the thickness of the grass it’s cutting. Plus, dual blades are included for maximum efficiency and cut quality. Buy yours now, and come spring, you’ll truly understand by gas-powered mowers are so last season.